A group of directors from SCUPSO (Southern Consortium of University Public Service Organizations) units met earlier this week in Charlotte. There were folks at this meeting from Tennessee, Virginia, South Carolina, Maryland, Missouri, Georgia, Alabama, and North Carolina. Some SCUPSO units are large and work in many different areas; others are small and focus on a narrower range of activities. They are good people and I always learn something useful when we meet. 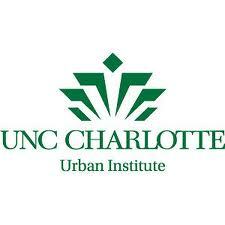 The Urban Institute at UNC-Charlotte has created a wonderful website that integrates much of their regional work on the environment, the economy, and social well-being. Jeff Michael, the Institute’s Director, described their journalistic approach that paints a picture of each county by (1) using information from a regularly-updated regional indicators database, (2) posting accessible stories and commentary on current issues written by faculty and community members, and (3) maintaining a list of current government news stories aggregated from newspapers in the region. It is beautifully done and uses Twitter and Facebook to notify people whenever information changes on the website, which happens regularly. I was interested to learn that a couple of organizations are working on efficiency-related projects in state government―the Institute for Public Service at the University of Tennessee is leading a process improvement project, and the Center for Government and Public Affairs at Auburn University is working on a project to streamline state agencies. Governor Perdue did a significant amount of work with state agencies in North Carolina, and we were involved to some extent. I hope we can learn from our SCUPSO colleagues if North Carolina’s incoming executive and legislative leadership decides to seek even greater organizational streamlining and efficiencies to help pay for proposed tax cuts. It seems like an area where we might be helpful. One thing the Institute has created is a Solutions for Tennessee page on their website that highlights the services they provide in each Senate and House legislative district in Tennessee. In addition to short descriptions of selected projects, it also shows the following information for each district for the current fiscal year: (1) number of responses to requests for assistance; (2) number of people trained; (3) number of jobs created or retained; and (4) economic impact. The economic impact is not based on a multiplier formula, but is a dollar amount determined at the end of each project in consultation with the clients. The page for each district also includes the same information on a statewide basis. I found a lot of the discussion incredibly interesting and helpful. I learned that the Cooper Center for Public Service at the University of Virginia involves 150 faculty members from their own and other universities in different projects and programs. It is one way that they have expanded their capacity to provide more service for officials in Virginia. I also learned that at least three state-wide chambers of commerce, including ours in North Carolina, are thinking about creating think tanks to study policy issues (tax reform and others) because they believe that universities are unable or unwilling to do it effectively in the current political climate. The person who is working with those chambers told me over dinner that he believes the School of Government may be the only organization that has the credibility and potential to work effectively on policy issues in North Carolina. I hope he is right. I have focused more on presentations by units that are doing an especially good job of telling their story or demonstrating their impact. We are going to need to do a better job ourselves in the coming months. The legislative leadership may be pushing to reduce taxes, and possibly in a dramatic way―and they will have support from the governor if Pat McCrory is elected. If those tax cuts happen, it will require them to cut expenditures in a corresponding amount. I want the School to be in the strongest position possible to demonstrate our value in ways that will be appreciated by decision-makers who are allocating future cuts, including a new chancellor and a new provost at Carolina. I encourage you to take a look at the links for UNC-Charlotte and the University of Tennessee and let me know what you think about them.